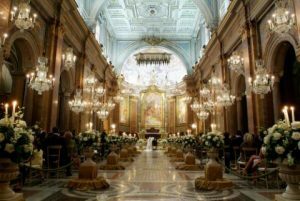 Wedding ceremonies – If you wish a religious or a civil ceremony, Rome is what you are looking for! The “EternalCity” offers many Renaissance and Baroque Churches and Basilica, or several picturesque places where you can experience a more intimate day. We are sure you and your beloved ones will have a marvellous stay in Rome including you neverending promise in a such special day between history and art. 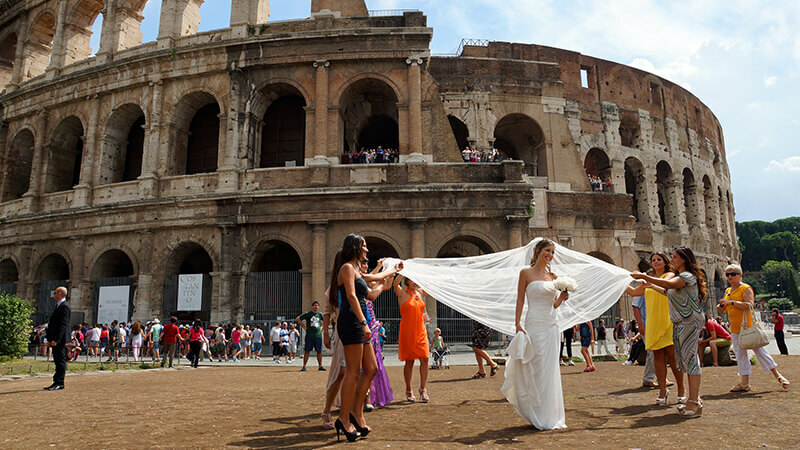 They are conducted by an officer in one of these three wedding locations: Sala Rossa at the Campidoglio, Sala Palatina, a deconsecrated church at Caracalla and Villa Lais. 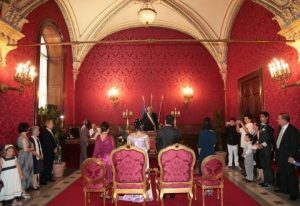 Usually, bookings must be completed within six months before and it is not necessary for foreigners, expecially for the EU nationals, to be resident in the city where the rite will take place. They are allowed only if at least one of the spouses is catholic. It is recognised by the Italian government (and consequently under any country’s one). There is no need for any additional rite or paperwork information. For both services you can also book Church, Make-up, Hairstyle, Bride Wedding Dress, Groom Wedding Suit, Wedding Rings, Car Rentals, Floral/Theme Design, Floral Bouquet, Music & All Entertainment, Wedding Banquet, Photography/Videography, Wedding Planner and all of the needs you deserve in that special day.